Calas de Mallorca, built in the sixties on the waterfront area of a property known as S’Hospitalet Vell. There are three lovely little beaches in this area with blue transparent water and fine sands which are very well cared for. The urbanization is made up primarily of apartments, complexes and town houses all very close to a beach. Many are front line with wonderful open sea views. * Cala Murada: Cala Murada has a very long beach measuring 110mts by 70m with fine white sand surrounded by cliffs dotted with pretty villas used as summer homes. This is a lovely village built amongst pine trees keeping the natural feel of the island alive. Close by there is an archeological finding protected by the Manacor Town Hall. Cala Murada is five minutes to the nearest golf club. In the back part the water of the torrent Des Fangar is forming a small lake where you can observe birds. 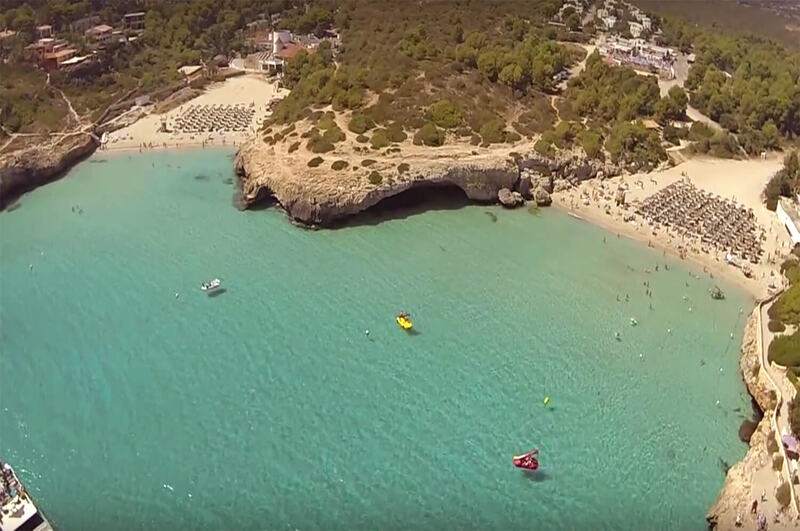 * Es Domingos: Petits is a beach of 50 mts length and 120 mts width with fine white sand situated in the tourist center of Calas de Mallorca, next to the beach. * Es Domingos Grans: Surrounded by buildings which are not too high. This is the main beach of the tourist center of Calas de Mallorca and very crowded during the summer time. It has a length of 80 mts and a width of 140 mts with fine white sand. 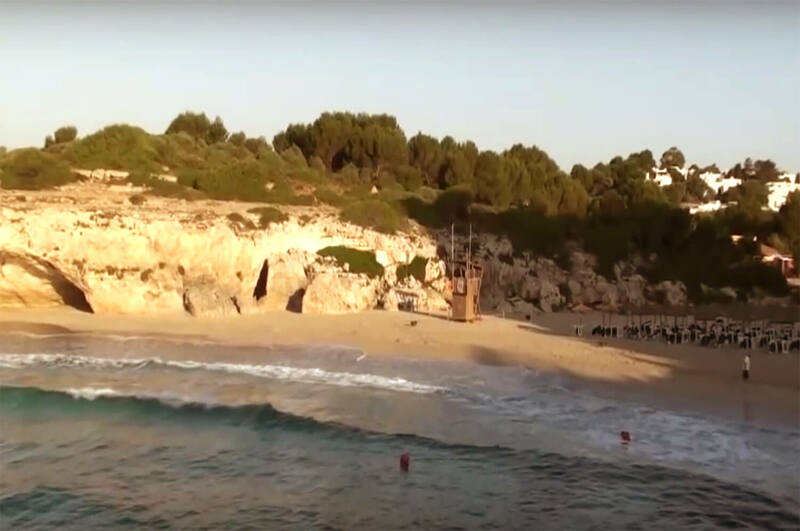 * Cala Antena: Is a small beach in the tourist center of Calas de Mallorca of 30 mts length and 70 mts width. Its right coast draws the attention for its verticality meanwhile the left coast is lower and without any tourist buildings.